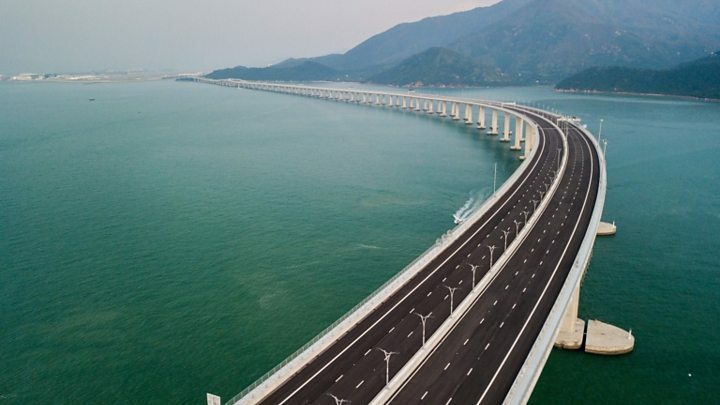 The longest sea crossing bridge in the world, was officially opened by the Chinese President Xi Jinping on Tuesday, October 23, 2018, during a ceremony in the port of the new city of Zhuhai, south of China, with the attendance of the leaders of Hong Kong and Macao. 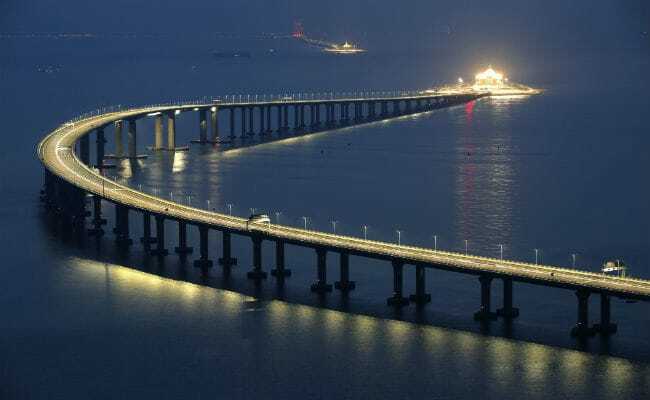 The 55 km long bridge has an underwater tunnel, linking Hong Kong, Macao, and the city of Zhuhai. The bridge cost about $20 billion to build and was supposed to open two years earlier, in 2016. The bridge was designed as part of China’s plan in creating a Greater Bay Area, and is able to withstand earthquakes and typhoons. Travel time between Zhuhai and Hong Kong has been greatly reduced, from four-hours to 30 minutes. Private shuttle buses will be driving passengers across the bridge. Travellers will need to obtain a permit two weeks in advance, and pay a crossing toll. Although the bridge has made positive changes, it has also been criticized for its harmful impacts. The bridge may also have caused serious harm to marine life, as number of dolphins has decreased. According to the Hong Kong branch of the World Wide Fund for Nature (WWF), environmental groups recently noticed that the dolphins are absent from the water around the bridge.